This long sleeve rugby shirt is made from 100% cotton (allow for 10% shrinkage when ordering) and is machine washable for easy care. 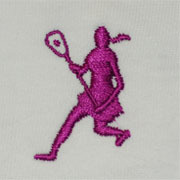 The embroidered 1 1/2″ Laxguy or Laxgal will be centered on the left chest in the color you choose. Our Rugby shirts are available in any color combination or solid color you might be interested in, however there is a minimum order of 18 shirts for colors not listed here on the site. 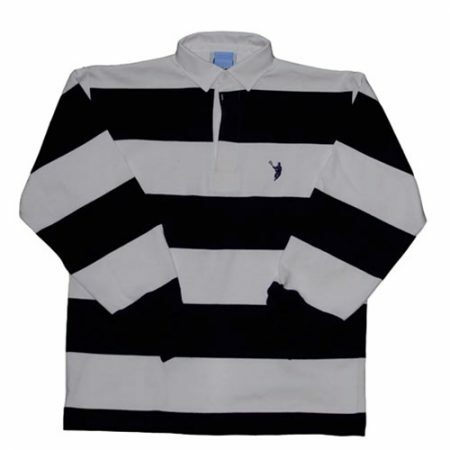 Rugby shirts are available in both solid colors and stripes. 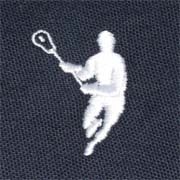 Solid color shirts all have while collars. 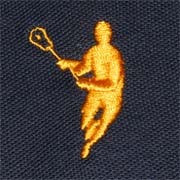 This rugby shirt is made by Barbarian Wear in Kitchener, Ontario. For best results, follow the care instructions on the label.